By the author of The Basket of Flowers! 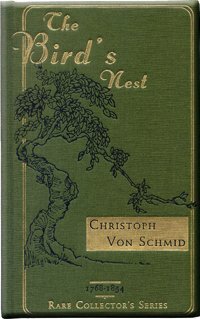 The Bird's Nest is part of Rare Collector Set 8. Strength of character lies in the determination to hold on to truth regardless of circumstances or consequences. The hero in this story proves that every seemingly insignificant deed is noticed by God. Even though his life is threatened by the prince and his guards, this young man's word is a treasure that will not be sacrificed; it will be rewarded in a most unusual turn of events.